Home Team Haşmet Ozan Güner, LL.M. Haşmet Ozan Güner advised and represented many local and multinational companies particularly on structuring commercial partnerships, distributorship, franchise and agency agreements, preparing their contracts, conduct and termination of these relationships and disputes in these fields. 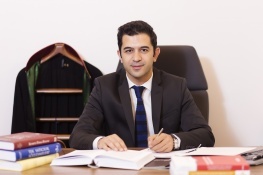 Haşmet Ozan Güner has experience in competition law compliance, Competition Board investigations, clearance filings for mergers and acquisitions and individual exemption applications. He advised many clients in merger and acquisition process and negotiation of their agreements. He also advises clients on pharmaceuticals, medical devices, veterinary products, food supplements, agricultural laws, regulations and industry-specific contracts.